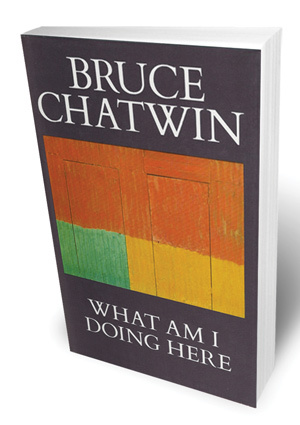 As might be expected, Bruce Chatwin is a restless guest. He paces my Kathmandu garden, and chafes if his nomadic yearnings cannot be indulged with long walks at least once every few days. Insisting on peace and solitude so that he can write undisturbed during the day, he craves entertaining company and fine food at night. It is a pleasure to oblige. After all, his prose is sublime and his stories are irresistible. He is an old friend, albeit a demanding one, but now an acclaimed author. We share an impatient passion for travel, and have many acquaintances in common to savour and enjoy — Bruce is masterly at people. With a writer’s eye and taste for the bizarre, he captures the most unlikely moments. I beg him: “Please tell me again the one about the priest in his robes with the pet kangaroo on the Australian beach.” Soon we are yet again helpless with laughter. Between overseas visits for the Sunday Times, Bruce reads aloud the proofs of On The Black Hill (or was it the Viceroy of Ouidah? I forget) lying on a chintz sofa during a soggy London afternoon in the tiny Albany flat lent by one of his many posh friends. He is escaping the imagined claustrophobic confines of his lovely stone-flagged farmhouse in a remote Gloucestershire valley. The moleskin notebooks, walking obsession, horror of domesticity and intrinsic restlessness are already a carefully established legend, ever since In Patagonia. For me, the resounding purity of Bruce’s writing shines through all the self-regarding hype. 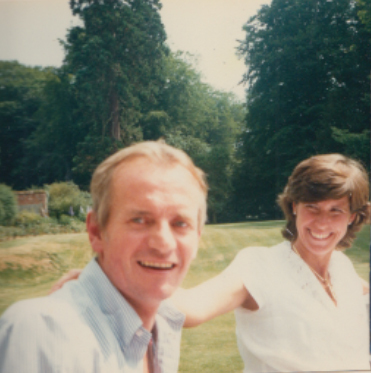 Bruce Chatwin during Lisa Choegyal's wedding in 1986 in Hampshire, England. Between trips, he attends Tenzin and my wedding one July afternoon in 1986 (pictured above), on a sunny expanse of manicured lawn at a sprawling house in Hampshire with baroque creeper and 16th-century paintings. “I am not an art dealer,” he hisses fiercely as we inspect the magnificent Armada portrait of Queen Elizabeth I that hangs on the staircase between loans to the world’s museums. Employed by Sotheby’s art auctioneers because of his sure eye and infallible taste, Bruce hates to be classified as one of them. On one particular Kathmandu visit, Bruce is once again stopping over on the way back from somewhere significant — was it from Australia and Songlines? After some time alone writing, his wife Elizabeth will join him from England. I arrange for them to rent a crumbling white painted and elaborately plastered bungalow with stained glass windows and bright ceramic floor tiles near the Narayanhiti Royal Palace. It is an historic spot, once lived in by a youthful Jim Edwards when he worked for USAID, and now the Old House restaurant. So that he can write in comfort, I supplement the spartan furnishings in the old Rana cottage with a borrowed desk, lamp and chair and a gentle rotund didi to clean, shop and cook. Still, conditions are not to Bruce’s liking. 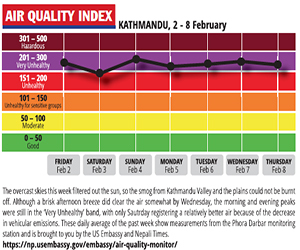 He aches and splutters, and blames the damp downtown Kathmandu winter fog. With Elizabeth he treks in Solukhumbu, and blames the persistent coughing on the altitude — but it does not stop him writing a lyrical piece on Everest, On Yeti Tracks, that was published posthumously in What Am I Doing Here. He gets worse and blames his debilitation on a rare bone marrow fungus contracted from bat droppings whilst travelling in China. With Bruce, nothing can be ordinary. After one of his visits to Nepal, I find left behind in my house a handful of well-thumbed volumes — Rimbaud, Baudelaire, Proust — and a handsome pair of Bruce’s fine calfskin walking boots. During his last illness Bruce continued to roam, but not to Nepal. The steadfast Elizabeth took him to the orthodox churches of Greece, to the wilds of the Outer Hebrides, and they settled briefly in the castellated hinterland of the south of France. The last time I saw him he was weak, gaunt and in denial, ensconced on a large bed holding court in a suite at the Ritz in central London. “Keep the boots. Give them to a charity,” says Elizabeth, ever practical, loyal and unsentimental after his untimely death of AIDS in early 1989. But Bruce’s boots are still sitting in my Kathmandu cupboard. 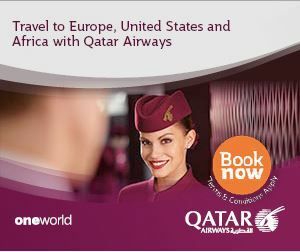 One day, maybe, I will. 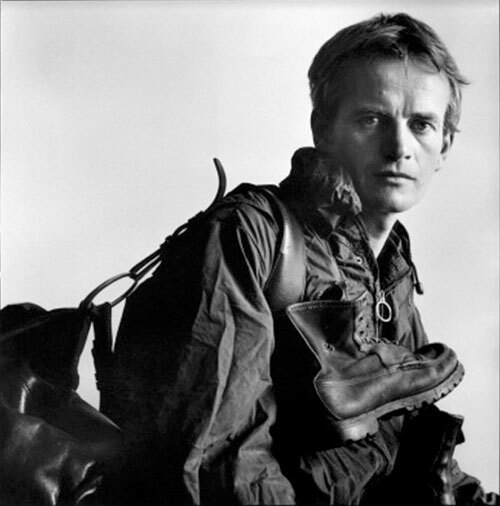 Bruce Chatwin's The Novels is being published in New York next month. Can anyone look at these pictures and continue the killing? There is no military solution to this crisis. Pursuing that option will destroy the country, and may ultimately cost us our sovereignty. Ive been to some gatherings lately where the talk among foreigners was pretty discouraging. Youd think that these people were actually affected by the things they were complaining about-bandhs, shortages, the WAY THEY DRIVE!! !